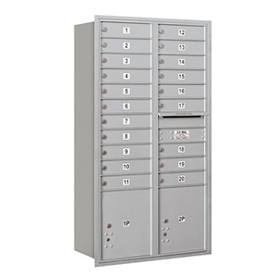 12 door CBU's feature (12) standard sized locked compartments, (1) parcel box and (1) outgoing mail slot. 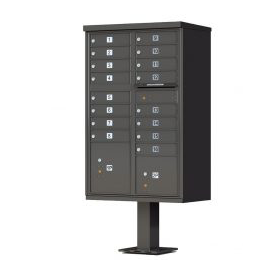 Available in (6) contemporary colors and optional decorative top and pedestal. 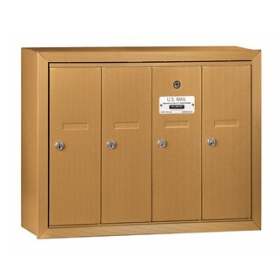 13 door CBU's feature (13) Larger sized locked compartments, (1) parcel box and (1) secure outgoing mail slot. 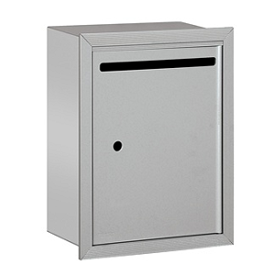 Available in (6) contemporary colors and optional decorative top and pedestal. 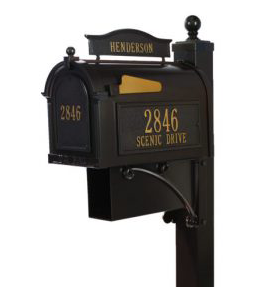 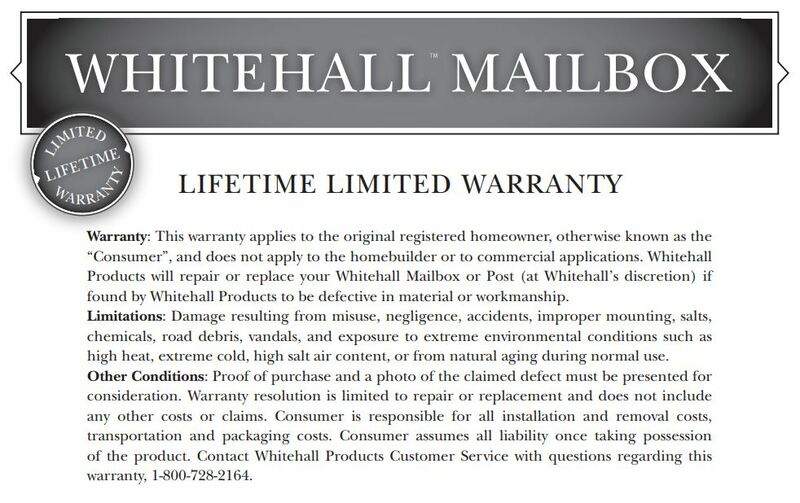 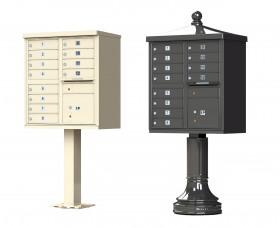 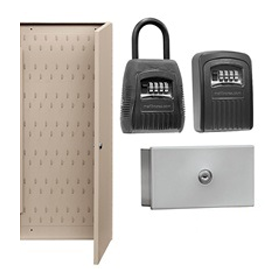 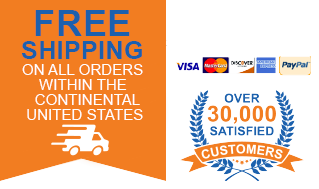 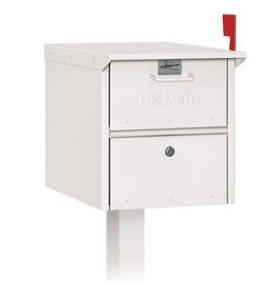 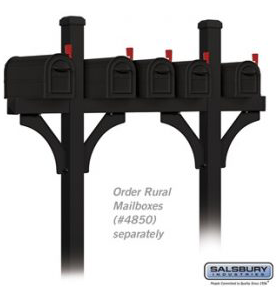 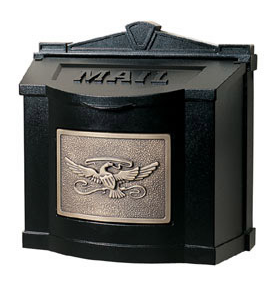 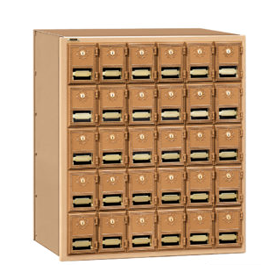 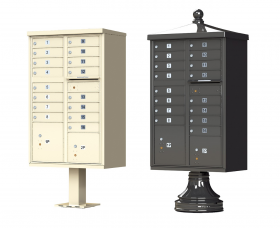 13 door cluster mailboxes are approved by the United States Postal Service. 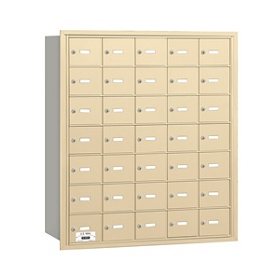 16 door CBU's feature (16) standard size locked compartments, (2) parcel boxes and (1) outgoing mail slot. 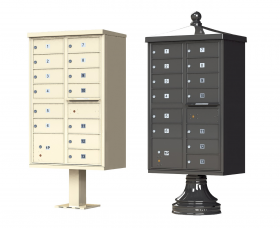 Available in (6) contemporary colors and optional decorative top and pedestal. 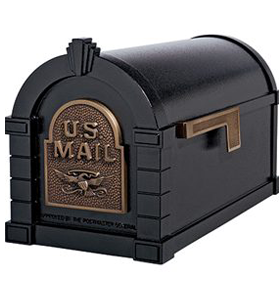 4 door CBU's feature (4) over-sized locked compartments, (2) parcel boxes and (1) secure outgoing mail slot. 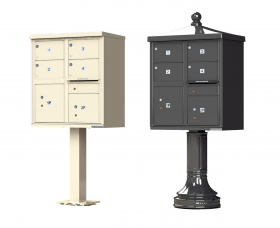 Available in (4) contemporary colors and optional decorative top and pedestal. 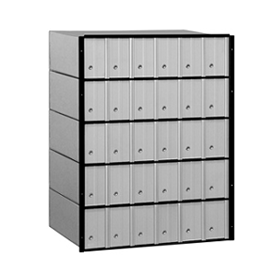 8 door CBU's feature (8) standard sized locked compartments, (2) parcel boxes and (1) secure outgoing mail slot. 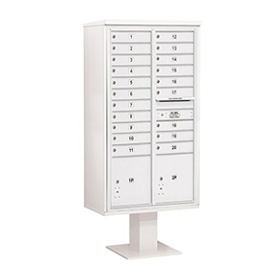 Available in (6) contemporary colors and optional decorative top and pedestal.